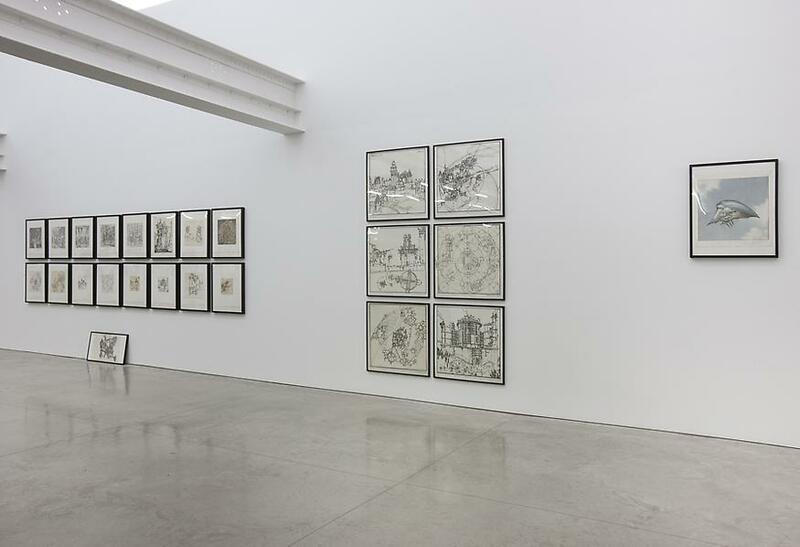 On February 24, Friedman Benda will open Lebbeus Woods: Early Drawings, offering a rare look at original drawings by perhaps the most eminent visionary architect of our times. 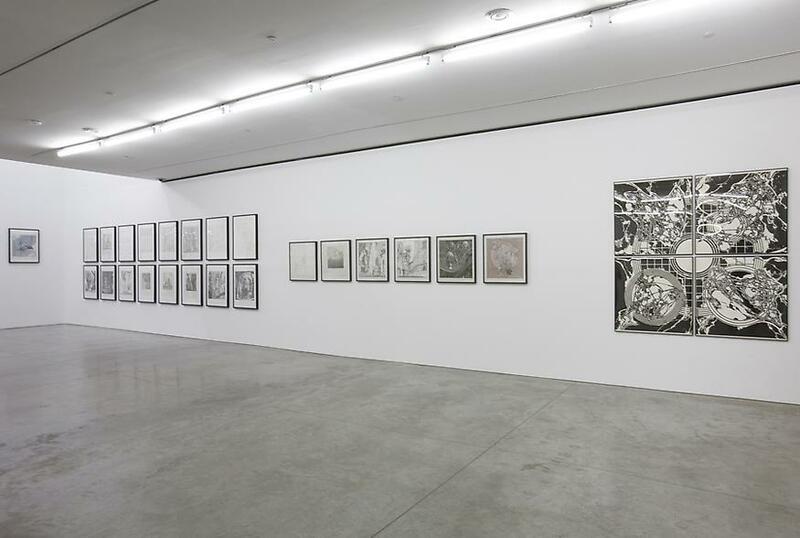 The exhibition brings together more than a hundred of Woods’ drawings from the 1980s. Many have never been displayed before; they have long been held privately, and together they offer an extraordinary voyage across far-reaching conceptual terrain. 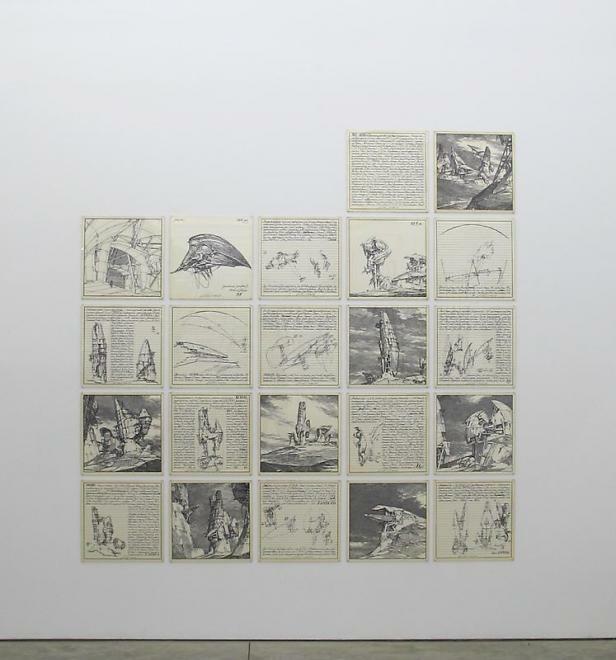 For more than four decades, Woods’ drawings have expressed compelling ideas and portrayed otherworldly scenes that suggest alternate histories and futures. With an inventive drive akin to that of Leonardo da Vinci and Giambattista Piranesi, and following the lineage of Enlightenment architect Etienne-Louis Boullée and Swiss surrealist H.R. Giger, Woods invites us to imagine worlds as they might be. 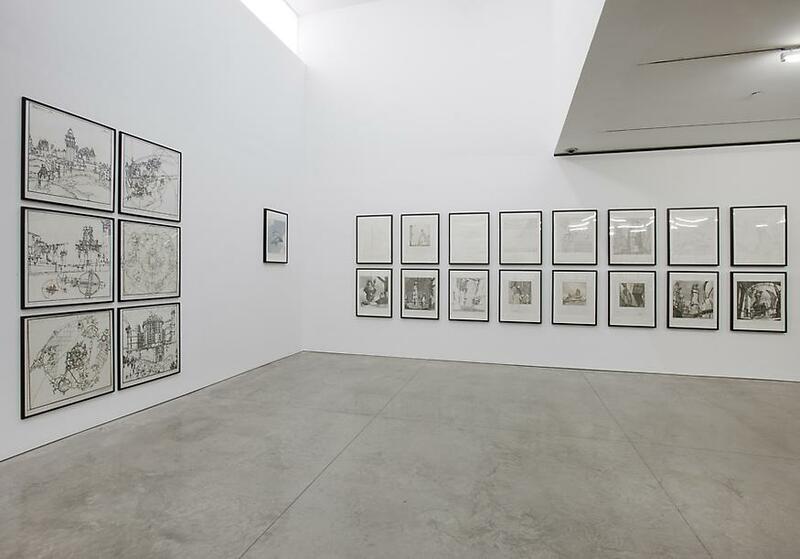 His drawings embrace decomposition alongside construction and ruin along with rebirth, presenting a heady brew of politics, history, and graphic bravura that never fails to astonish. The exhibition begins with drawings that reveal Woods’ formative interest in Romanticism and landscape. These works are a prelude to the epic Centricity and A-City projects, two celebrated, quasi-utopian series that explore the political nature of architecture and its capacity to transform the social order. 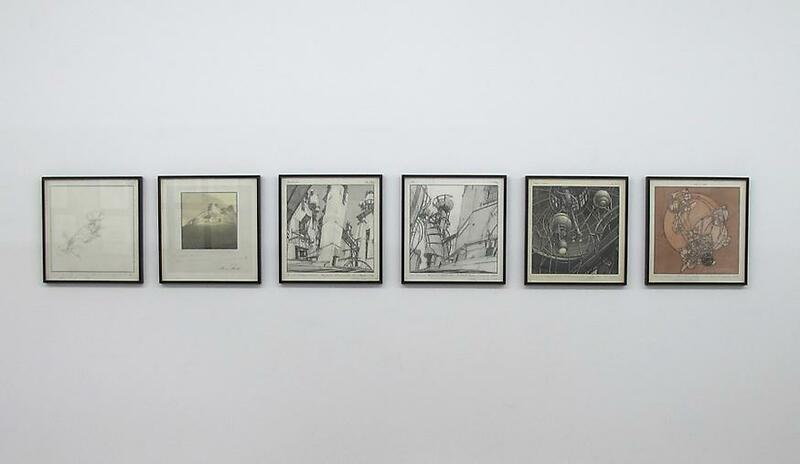 The trajectory continues with drawings from Aerial Paris and Underground Berlin—projects concerned with reinventing metropolitan centers—and explorations such as Geomagnetic Flying Machines and Geomechanical Towers, structures that seem to emerge from science fiction as much as architecture. The exhibition concludes with Woods’ proposal for New York’s Penn Yards, then one of the largest undeveloped, and most contested, areas of Manhattan. In a suite of sketches named Timesquare, Woods envisions how homeless residents would cobble together “freespace,” structures that are not predefined but nonetheless fully support their inhabitants’ life and aspirations. 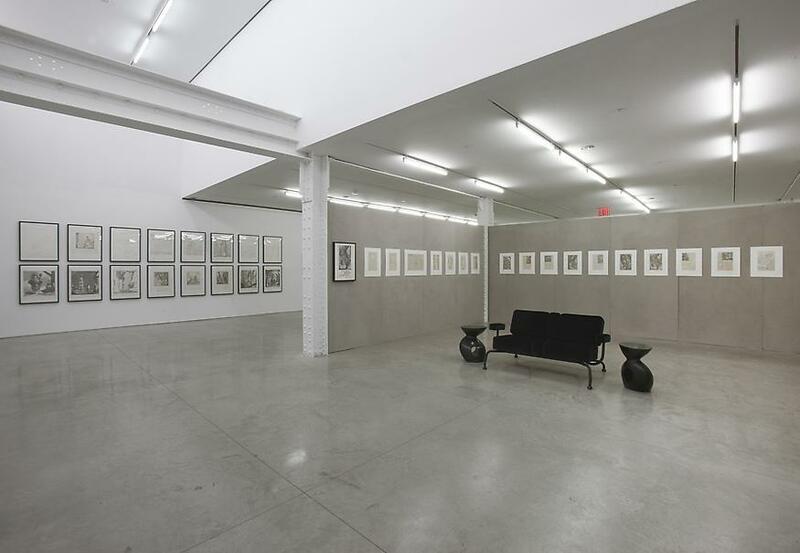 Seen together for the first time, these sketches recall a film storyboard, while announcing what would become Woods’ signature approach, in the 1990s, for reimagining empty, abandoned, or destroyed urban areas. Accompanying these drawings is a series of short films by Billy Shebar, made in collaboration with Woods for WNET's The Eleventh Hour.